Now that a new school year is upon us, it’s time to get back into the daily routine of homework and study time. While many apps and websites can be used to aid in learning new information or helping kids study, child psychologist Geoffrey Putt, PsyD, director of Parenting and Family Support Services at Akron Children’s Hospital, says the most effective tool is the one your child will use. Dr. Putt doesn’t advocate going out and buying the latest device for your child, but if you have an Apple or Android device in your household, many apps for studying are available. 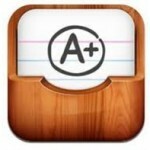 One such app, which Dr. Putt recommends because it’s a simple and free tool, is A+ FlashCards Study Helper. This basic app allows parents or kids to create their own electronic flashcards by typing in an unlimited number of questions and answers for any given topic. Since using the app doesn’t require an Internet connection, it makes it easy for kids to study anytime or anywhere, such as while waiting for a ride after practice. If a family has multiple devices, it can be accessed from any of them. Dr. Putt also likes the app’s flexibility. Answers can be made as simple or as detailed as necessary. Once the information has been mastered, the flashcards can be deleted, or they can be expanded upon as new information is presented. Check out our other Tech Tuesday posts.